Is Hoarding a Fire Hazard? Hoarding is a significant threat to residents, neighbors, and especially firefighters. First responders run into a number of problems when there is a fire in an excessively cluttered home. Unfortunately for firefighters, these hoarding-caused fires are not a rarity because hoarding creates the perfect environment for fires to flourish. Read all about hoarding and why it is a fire hazard. There is so much more to hoarding than just clutter. It is a mental disorder that can be caused genetically, triggered by a traumatic event, or caused by another disorder. Hoarding includes the collection of large amounts of various items that accumulate in the home due to strong urges to save them. This behavior eventually leads to an overflowing home where rooms are no longer accessible and clutter disrupts daily activities. Is Hoarding an Issue for Firefighters? Hoarding is a major issue for firefighters. Excessive clutter blocks entrances and exits, which prevents firefighters from being able to access the home. Hoarding puts the firefighters at risk because of obstructed exits, falling objects, and excessive fire loading. Besides being difficult for firefighters to access the home, hoarding also makes it hard for them to search for occupants. This means that hoarding not only affects your safety but also those trying to help. Does Hoarding Increase Your Risk of a Fire? With so many excessive materials in the home, hoarding exponentially increases your risk of having a home fire. Fire flourishes when it is in a dry environment with plenty of kindling. All of the hoarded materials within a home create plenty of opportunities for fires to not only start but to also continue to burn. The excessive clutter also increases common accidental fires, often caused by electrical wiring, cooking, or even just lighting a furnace. Just having that extra flammable material around increases the risk of fire. At Restoration Experts, we know how serious hoarding is. We understand that a hoarder’s possessions aren’t considered clutter to the hoarder. 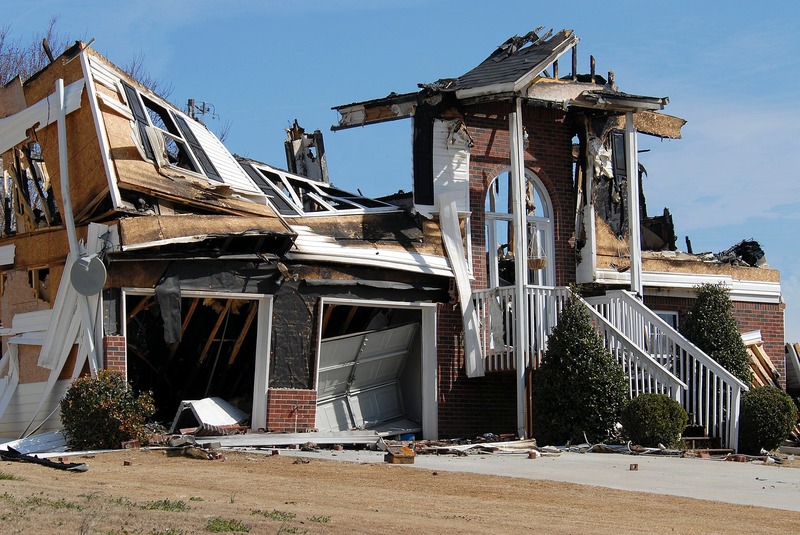 That’s why we make sure that the home is not only restored to a livable, less flammable condition but that the homeowner’s wishes are respected. No matter how bad the hoarding has gotten, call the Restoration Experts. We tackle everything from waste to insect removal. Contact us today at 1-877-881-5183.